Budget games producers faced problems in bringing their products to market during the early years (1983-5). Any means available was tried to reach any retail outlet that might have been interested. 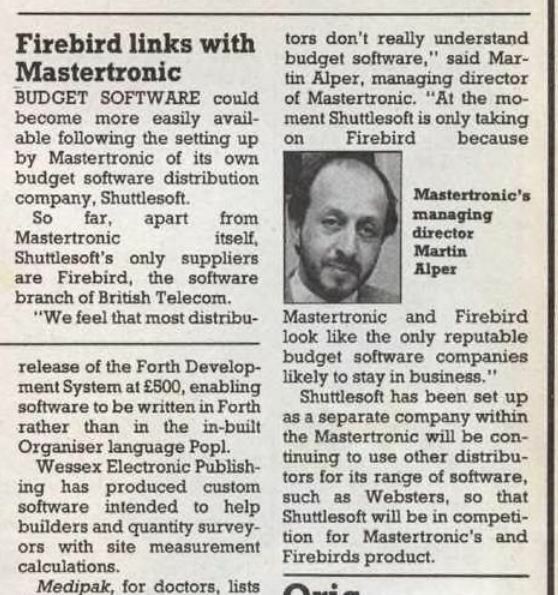 I think that Shuttlesoft was fictitious - that is, there was no such company. It was a trading name, probably used by Richard Bielby and associates. If there was any co-operation with Firebird, this is probably the only instance of it. The story was in Popular Computing Weekly, 21 March 1985.